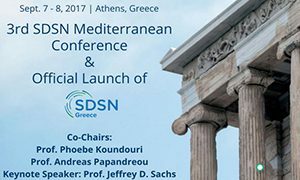 Home » Category "News & Events"
The 3rd International SDSN Mediterranean Conference will be held on September 7-8, 2017, in Athens, Greece. SDSN Greece will be the 22nd national/regional network within SDSN, and is co-hosted by ICRE8: International Centre for Research on the Environment and the Economy and the Political Economy of Sustainable Development Lab. It is co-chaired by Prof. Phoebe Koundouri and Prof. Andreas Papandreou. SDSN Mediterranean will contribute to the 3rd International SDSN Mediterranean Conference thanks to the participation of Prof. Angelo Riccaboni and Prof.ssa Alessandra Viviani. Are you under 35? 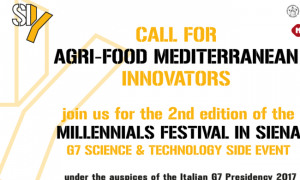 Are you an innovator in the agri-food sector? Do you care about the sustainability of our food systems? Do you believe your idea or project could bring about real change? Join us in Siena on the 5th and 6th of October 2017! 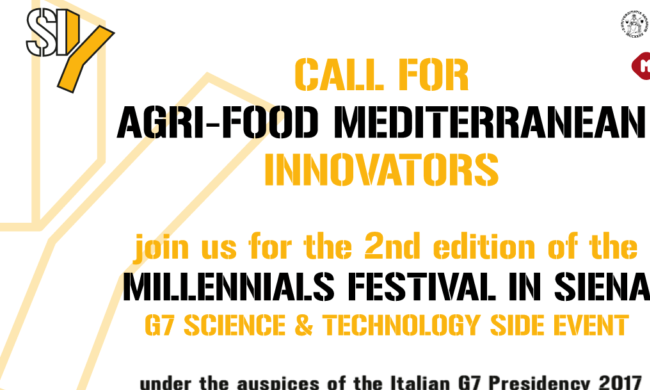 The University of Siena is looking for innovative ideas and projects related to the agri-food sector. Don’t wait too long! Our Call for Millennial Innovators is now open ! Send us your proposal by JULY 31st. The call for Campus Coordinator of SDSN Youth for the Mediterranean region is now open! SDSNY Med is seeking new talented, passionate and highly motivated student for the position of Campus Coordinator, who will have the chance to work with an exceptional group of individuals with a variety of cultural and political backgrounds, committed to sustainable development. SDSN Youth will give you the unique opportunity to be at the forefront of efforts taken by the United Nations, governments and civil society in developing and leading a global movement for sustainable development, by attending domestic and international conferences and by joining networks with some of the most prominent figures in this field.